How do you attract readers if you hate the idea of being “pushy”? You have some great information on your blog but nobody is reading it. Your website statistics make you want to lie down in a darkened room and not come out. The good news is that if you hate the idea of being “pushy” you are in good company. We do too. In fact most people do. The even better news is that the old kind of marketing which did push people, simply doesn’t work anymore. You can’t push someone into doing anything. In the past we used to believe adverts and what the papers said, enjoy a doorstep sales conversation, know everyone in the local area. Now we are all more cynical: so we tend to trust the opinions of others we trust. You do want readers who want to share what you say. But deep down you do want readers for your blog. New readers, and returning readers. You would also like them to say lovely things about you, and because they are well connected online, when they share it all over social media your impact spreads like wildfire. Ultimately you may also want your readers to do something. In fact you want them to do lots of things that will result in them seeing the value of what you offer and paying you. The problem with attracting readers is that they are overloaded with information. Your reader – who may one day turn into a client - is overloaded with information. It is free and available everywhere through their smartphone: – on a bus, while they are waiting to meet a client, or pick the children up from school. Just when they notice something interesting, they will see something else out of the corner of their eye and move on. Not your fault, it is simply that there are lots of distractions and our attention spans are getting shorter. Add to that all the demands of life: family, children and their homework, meals, job, and keeping up with friends and community and it is a wonder anything gets through at all! The upshot of this is that new readers are capable of being distracted. They will watch a video shared by someone they already trust whether it is about otters holding hands, cats asleep in strange positions, or old grannies dancing. Things they didn’t know they were going to look at. In fact anything that looks interesting and short. We all do it. They will even look at a video you have posted if it is shared by a friend and looks appealing. So the magic formula goes something like this. Looks interesting + comes from a trusted source. Become the trusted source for more people. The way to become a trusted source authentically (yes, without being pushy) is to build on the relationships you already have. Take it a step at a time and build quality as well as quantity. Be good to others without thinking about what you might get back. Share what friends and business colleagues post, favorite tweets you like, notice what others are doing. Don’t be afraid to take the first step to connect. There is a huge difference between going to networking or an online forum focussed on selling, or going looking to contribute. 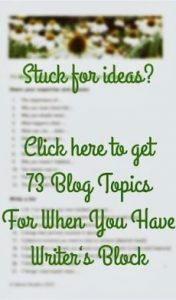 You might write a blog post about different approaches to a specific issue. (The word for this is “curating”). You acknowledge the work of others you respect or find interesting, which helps you to cement connections. What is rather amazing is that when you genuinely enjoy doing this for others it seems to magically communicate and all kinds of good stuff comes back to you. Solving problems is the heart of what you offer. Whether the problem is very specific or more transformational you can show your approach in your blog posts and social media. In the new marketing landscape it is better to be generous with your information which lets people see what you can do, rather than holding back because they haven’t bought anything. Sometimes we can hold back if we feel a bit disadvantaged without all the bells and whistles of a successful company. All you need is a blog post about the issue to get going. Once you start answering questions and helping people any awkwardness disappears. You forget about yourself. Many professionals hate the idea of selling. I was working with consultants to the NHS some of whom were doctors. They hated the idea of being pushy and felt very awkward. However when they met people with real problems they could solve they forgot all that and wanted to help. As a result a lot of interest was generated for their work. Questions and problems are the gold dust of your blog and your business so just start solving problems! Make your communications interesting and memorable. Making your social media interesting and memorable often means approaching your area of expertise from different angles. You want people to notice you above the millions of messages. You can remain professional but appeal to your potential readers’ curiosity, or deliver a surprise or shocking fact or statistic. The more unusual the better but of course it does have to be genuine. You can use industry statistics or create your own from surveys of the people you know. Display it in visually interesting ways and you are definitely have a better chance of being read. Questions are an excellent way to make what you say more interesting. Questions which focus on their problem but expect the answer yes, are often the most powerful. Pictures are good but short video is better. You can capture a very short video of 1 or 2 seconds with Vine which then repeats. A visually interesting metaphor relating to the point of the blog can often help to get your message noticed. 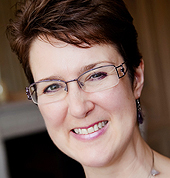 We can often think business has to be impersonal, bland or very factual. Beneath every complex job title or powerful job role there is a human being with wants and needs. Using emotion – either positive or negative – creates a stronger connection. You may not have been encouraged to have your personal opinions in your essays at school, but blogging is about connection, not just an academic exercise. It makes you more interesting and memorable, less attractive to the wrong people and more attractive to the right readers. Perfect. Is the next step obvious? If you want them to read a blog post don’t forget to have the link easy to click in your social media update. (short and trackable) If you want them to sign up for something make the sign up area easy to see. Ask them to do something at the end of the blog post. Making the next step attractive to your readers is of course the key. If it is attractive enough and easy to do they will take action. Part of making the next step attractive is to show that it is a natural next step. there is no risk involved. Testimonials and case studies show that people just like your readers have benefited already. You can of course offer a money back guarantee as well. 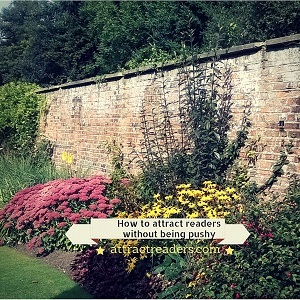 The best tip about attracting readers? 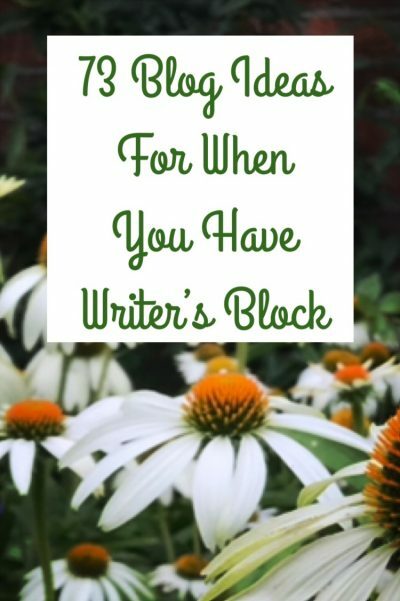 The best tip to attract readers to your blog is to enjoy writing it!